I don't listen to them as often because of the work of cleaning required. Often, I'll stream an album on Rdio (my preferred service; more here) which I own on vinyl not 15 feet away. That seems sacrilegious. CD's look and feel like toys to me anymore. I have hundreds, and they mostly sit around on the shelf. But when I'm in the car, I want nothing else. Fumbling through menus, plugging cords into my phone every time I enter and leave the vehicle is not something I'm constitutionally or dexteriously prepared to do. Records are much more expensive, but usually come with download codes for mp3 versions of the album, which is both thoughtful and useful. At the same time, the lack of permanence offered by digital collections bothers me. Not that I think, like some, that the cloud is going to implode and that the music will die that day. But I forget about albums, even ones I love, amid the glut of new stuff coming out all the time. As with books, I find that having a thing that I can touch is a kind of dedication: I am agreeing to care for and live with this object for the foreseeable. My iTunes library is too full to store on any device I have, and too large for me to look through conveniently. On the recommendation of a friend, I signed up for iTunes Match. It helps, but is still basically a streaming service, because I never think while on wifi what I'd like to listen to. Artists are paid higher percentages from the sales of physical media and I think it's important to do all one can to support them. Joel Hartse wrote about having this problem in his excellent book, but I'm away from my library and can't reproduce the quote. The conclusion he came to was that albums are albums and he's in it for the music; the method of conveyance is not important. That's not quite true for me though. I don't love certain albums more, but I love them better depending on the medium. Double album sets (or "gatefold vinyl," as they're sometimes called) drive me crazy, flipping the wax every three songs. Records I used to enjoy I've given up on because of that staccato playback. I go back and forth on the question, buying a few CD's, downloading some files, buying a record, but I don't much like having the conversation with myself every time. Sometimes I think it doesn't matter. 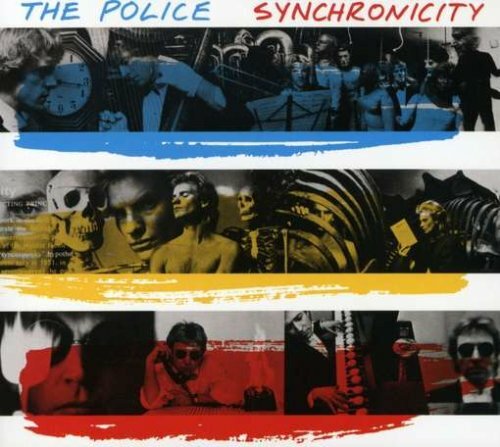 But yesterday, I wandered into Revolver Records in Tempe, AZ, where they were playing "Synchronicity" by The Police, which is catchy, and nostalgic, and fun, but also, one of the best recorded albums ever made. They were playing it on vinyl, of course, and I heard something there so real, so present that I can't pretend all forms are equal. I'm no terrific fan of that band, nor of much in the decade that spawned it, but the album seemed better than I'd ever heard it: the songs smarter, the musicians more talented, that the playback elevated the very act of listening to its own kind of art form. It was just me and the clerk in the shop, but it felt like we were accomplishing something, performing something by being there. How much more then with albums I love? Is this my answer? Vinyl Forever and damn the cost, portability, and fragility thereof? Have others come to satisfying conclusions about this problem?